One of the most common questions we get from customers is “how do I do groups in Yammer?”. Should I just let anyone create a group and hope for the best, population health or should I put some structure around it? 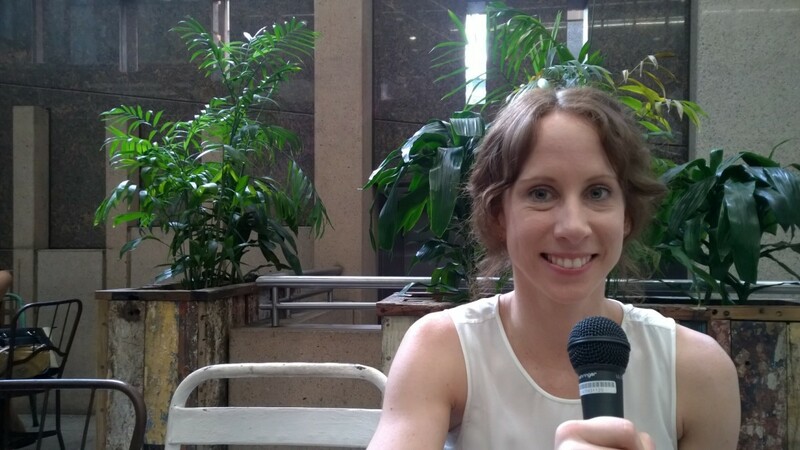 In this week’s episode of The Yaminade I talk to Hayley Bushell from Workcover Queensland. She shares with us the strategy and structure they put around group creation, and other structural information technology tactics which has resulted in every employee actively engaging within their Yammer community. Paul: Hi everyone and welcome to The Yamindade. My name is Paul Woods, you can find me @paulwoods on Twitter. Today I have a very special guest with me today from Workcover Queensland, it’s Hayley Bushell, welcome to the podcast! Hayley: Hi everyone, it’s Hayley from Workcover Queensland. I’m a Senior Solutions Consultant with Workcover Queensland and Workcover Queensland is workers’ insurance in Queensland, for injured. We provide over 150,000 policies for employees and it covers them for work-related injuries. We introduced Yammer probably about four years ago in late 2010 and we started off on the free version of Yammer. Hayley: Yeah, definitely start on the free one. Like most people, it was the one person who said “hey, let’s try this out”. The one person happened to be in IT which I believe is unusual as most companies don’t start in IT… So for us that started in 2010 and grew to the point in 2012 where we decided to head down the enterprise version and we rolled it out to all of our people. It was a sort-of launch and we now have around 850 employees using Yammer and that is actually every one of our employees, so we encourage all our employees to join up. Paul: Just before we get into it, I am a very happy Workcover customer. I once sliced my thumb open on an umbrella walking into my office, so I’ve used Workcover services and know that they do good stuff. What I want to talk to Hayley about is groups. What do you do with groups? Should we make them public or private? Most people we talk to say “let them make their own groups” but Workcover did things a little differently. Quickly talk through how you’re using groups in Workcover and how your managers are using those groups. Hayley: Slightly different to most people… When we launched from the enterprise version back in 2012, we had strategy around it. We wanted it to guide people in how they used Yammer… we wanted it to grow organically as well, but we wanted people to feel comfortable. We set up six or seven groups to start with and now we have 14 groups that are actively being used. We tend to encourage people not to create groups, which I know is a bit different to how other companies use Yammer. The reason we do that is to break down silos and share information across a wider audience, so having more posts in fewer groups will allow people to share more information. Paul: Give us some more information about those groups, what are they called? Paul: Premiums as in those you collect from customers, not premium as in the best people, no? Hayley: Yeah, exactly, insurance premiums. We have a group called Grapevine, yeah, ‘you heard it on the grapevine’, which is our social group where we get a lot of image content coming through, if you’re having a morning tea or competition, you find that people post images on there, comment and like. That’s a really nice one. We also have a couple of posters in there who will invite the whole organisation to Friday night drinks, that’s a really nice one and there’s a good social atmosphere in that group. We have a managers only group which is like a team agenda so we put things in there that we’d like them to raise in team meetings. Of course we still have face-to-face meetings within our organisations but we’ll post in there with things we want our managers to raise in the team meeting… I guess it’s a way for people to get the same message. Paul: Is that public or private? Hayley: That one is a private group, so you’ll have to be accepted to join that group… just to make sure the right people are in that group. We have an internet chatter group which is about the intranet and making sure it stays really fresh. We have a WC Tech group there and a lot of our Yammer stuff goes in there. We’ve just released a new app so our app and technology-related updates go there. We have a few private groups… we manage our BCP (Business Continuity Planning) through Yammer so it’s great way to make sure it’s not dependent on our internal systems. In light of G20, we have introduced one that updates all our Workcover staff so if there’s an incident in Brisbane City, we can inform our employees if they are out of the office. Paul: so your disaster communication… thankfully nothing happened! Paul: That’s a great overview of what you’re doing today. I want to hear about your journey to get to today. How did you get 800 people, your whole organisation, on board? What tactics do you use to get people aware of what Yammer was, how to use it, what it’s supposed to be used for, what value we can get out of it? Paul: Why do they love it? Paul: Integrated into your on-board process? Hayley: Definitely. I think that’s number one. When I talked about governance and the groups we have, I made a post on the intranet so people knew what they could post, just to help make people feel comfortable when posting, not going out on a limb. If it’s someone’s first post, we gave an example “you can post this kind of thing” which made people feel comfortable. That probably helped quite a bit. In saying that, one of the challenges and lessons learned is that we get a lot of those posts so it can be a bit samesy. Paul: Give me a few examples by what you mean by people posting the same thing. Hayley: We encourage people to praise, so if we receive a compliment through the website or on the phone, we encourage one of the managers to put up a praise, a thumbs up and post the praise saying “such and such has done this job”. Obviously it’s a very good thing, I can’t criticise praise, but we tend to get a lot of those posts. Hayley: – I’m not complaining, I’m saying we could probably work on it… Maybe a question type scenario to make it more meaningful. In terms of asking questions, it’s about putting yourself out there. Instead of just turning and asking the person next to you, you should put it on Yammer because instead of having one person answer you, you have the possibility of getting 850 people to respond to you, not that you’d want them all to respond but at least then everyone knows the answer, one person can tweak it. Whereas if you praise someone and just say “good job”, then that follow through is not really there. Paul: That makes sense. So Middle managers are on board, what about senior executives? Hayley: Again, I’m really lucky. We have a very flat structure, around 5 GMs then middle management under that and then team leads. For top-level management, it’s really good. They like and comment all the post, it’s great. Our CEO even posts, he’s not a habitual poster but that’s his form of communication, so if we have a big announcement or anything, he’ll get on board and post on Yammer. Hayley: – it’s hard to pin them down! As part of the Claims group that we have, we are all about returning to work and health benefits at work, making sure injury workers can return to work, so we post good return to work stories on the claims chat and tag them with our industry. Paul: – every organisation’s got forms! Hayley: We posted the form and said “we’re going to make some changes” and had so many responses, it was fantastic! Hayley: “this is a problem when the customer fills this in, this would be better if they could do it that way to help the customer out” and it came from all parts of the business, so it didn’t matter if you were from claims, communications, management or you had just started, you could provide insight into that. Paul: You’ve taken part of your core business process which is the claims process and made it more effective by using the network to influence what it looks like, brilliant! Hayley: It was pretty responsive because if you took a hard copy to people around the business, it would take a lot of time but this way within a few days we had a lot of responses, so it was very timely. Hayley: Yeah. If we had fifty groups like other people have, it would be more difficult, but because we have a limited number of groups, it makes things a bit easier to manage. In saying that, we do have a few external networks and people assigned to looking after those, so I’m not actually involved in those ones. I think community management is something that, if you’re going to grow your Yammer network into everything it could be, I think definitely a Community Manager or someone who has ownership over that part of the network would be a really good thing… maybe in the future?! Hayley: I think it depends on where you are in the journey and the types of people… If you have a network of Gen-Y who are on top of social, they’ll probably self-moderate anyway. But depending on your workforce, if you have people who are uncomfortable with social or blogging, it’s more important to have that help. Paul: What’s the mix of the workforce? Hayley: I don’t know off the top of my head. I believe we are predominately female. A lot of our management is quite young, which is why I our middle management are so on board with Yammer and that probably helps us. Any organisation of any kind needs champions and that’s one thing we don’t have as structured as what we could… maybe a private group where Yammer champions could talk together on how to improve things and make our Yammer network better. We’re in a good place but there’s always room for improvement and you can always get more out of it. Paul: Everyone’s engaged because you’re not sending emails in bulk outside of that core communication channel. What is next? Think forward twelve, eighteen months, how do you see Yammer being used within Workcover? Hayley: We could probably get to the point where people feel a bit more comfortable exposing yourself [laughs] exposing in terms of asking the question! You don’t need to know all the answers, Not everyone knows all the answers to everything and there’s nothing wrong with posting on Yammer and showing that you have a question and maybe someone else does too! Hayley: I know that Suncor have brought in a business helpdesk kind of things, in that IT aspect saying “you know you’ve got an issue with this program” bringing that more into the fundamental way you do things. Paul: like a crowd source support mechanism for IT? Hayley: yeah, I have this question but someone else in the business might be able to help as they might have had the same issue earlier in the week. We could definitely use topics and tagging better and being able to search through those. We’re looking at integration. I guess there’s that question of “which tool do I use and when?” What we’ve done to alleviate that is to bring in all of our content on Yammer through to our intranet. That’s where our content lives and it’s the platform where you can get to everything. We don’t really want to change that so we’ve brought in Yammer to help with that. But at the moment it shows one group at a time. You can click through like a tabbed homepage and show groups. What we want to do is bring in content based on trending topics or think about how we do that. If someone tags something with news, that’s how we can bring that in. It’s about making things a bit more relevant on the homepage. If you let it get old, people won’t look at it so we want to make it current and relevant for our people to go there and get the information… Also possibly integrating Yammer into our core systems, to let them know that “hey there’s a new Yammer post to go with this, check it out”. Paul: That makes sense. Thank you for sharing the story about Workcover and using Yammer. There are very few users who have been on Yammer for four years, so it’s great to hear from a customer who has gone through the journey that a lot of people are thinking about going through and has experienced the trials and tribulations, pitfalls and successes along the way. As a nice question to wrap up the conversation, if you had your time over, how would you approach it differently? What would you have done differently, if there are three things you can recommend to people? Hayley: yeah, now that people feel comfortable using it and going there, we can probably do that. That’s probably something I’d change and I’d probably do that a bit sooner. Paul: Thanks for taking the time out to speak to us today. We’re filming this in a café so if I can’t edit out all the noise, I apologise. Thanks for joining us, Hayley Bushell.